INSTANT started its business in 1973 under VECTURA aluminiumstillaser AS name. The main business area was selling Instant scaffolds, UpRight platforms and Hercules lifts. The company changed its name to INSTANT NORWAY AS in 1985. 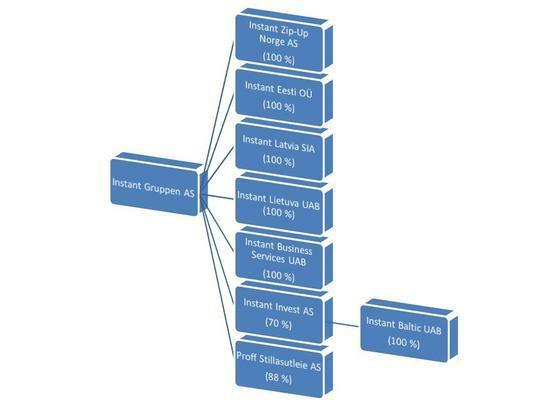 Today, Instant is a fast-growing group of 9 companies located in 4 countries: Norway (Instant Norge AS), Lithuania (Instant Lietuva UAB, Instant Baltic UAB and Instant Business services UAB), Estonia (Instant Eesti OÜ) and Latvia (Instant Latvia SIA). One of our strengths is our wide range of products: scaffolding products and INSTANT scaffolds, facade scaffolds, lifts, material lifts, pedal lifts, building fences, walkways and material handling products also known as Blue line products. We provide a complete “after sale” maintenance, such as service, yearly inspection and spare parts supply. This helps us to offer solutions and save our clients time. Well-qualified and professional personnel are able to provide support via phone or in any place where it is needed. We are the suppliers of well-known brands such as Instant UpRight, UpRight Powered Access (Tanfield Group), Isoli, Dingli, Sumner and Europelift. We also have our own production of material handling products and building fences through our subsidiary Instant Lietuva UAB. We are appreciated for our strong attention to product quality and the ability to offer our products at a reasonable price. Working directly with different manufacturers ensures fast delivery of spare parts and enhances the clients’ service. A wide variety of products and our experience of more than 40 years on the Norwegian market help us to satisfy the needs of many different customers. We are proud to have Norway’s leading rental shops, large government agencies and vast numbers of entrepreneurs and contractors as our faithful and satisfied customers. Our customers appreciate us for our personal contact, fast delivery and reliability. Our time in the market has helped us to select the best suppliers and offer certificated products of high quality for a good value of money.